Every bag of Granola Bites starts with us foraging for irresistible flavors and bountiful chunks of goodness. These Granola Bites are made with nut butter and pumpkin seeds for a snack so cravable you'll want to maul the bag. 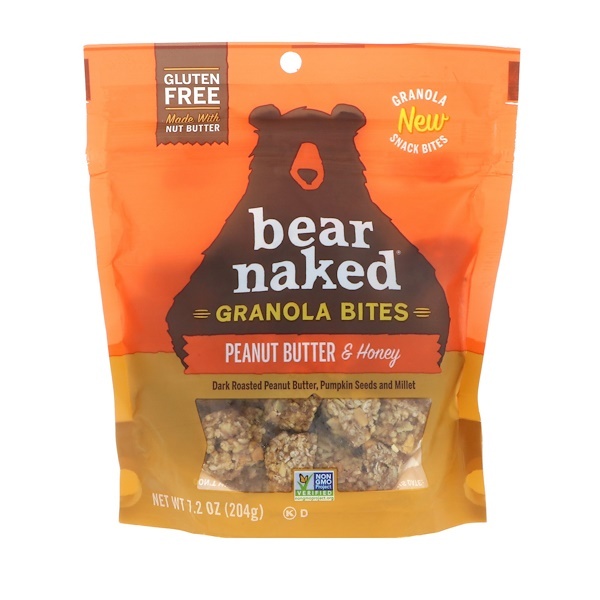 So, next time your stomach growls, grab a pawful of Granola Bites. 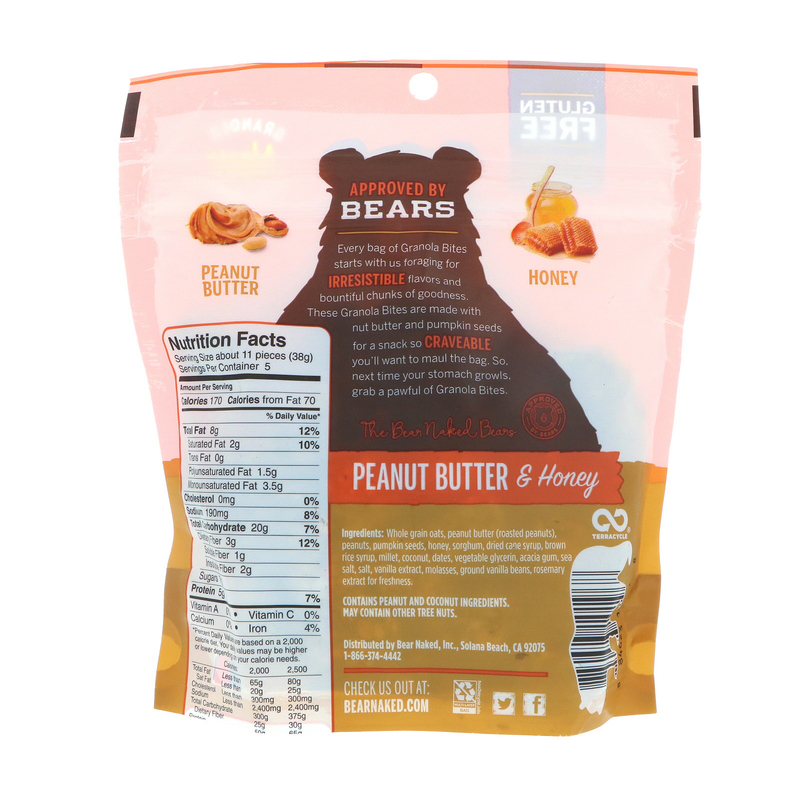 Whole grain oats, peanut butter (roasted peanuts), peanuts, pumpkin seeds, honey, sorghum, dried cane syrup, brown rice syrup, millet, coconut, dates, vegetable glycerin, acacia gum, sea salt, salt, vanilla extract, molasses, ground vanilla beans, rosemary extract for freshness. Contains peanut and coconut ingredients.